Until now, the benefits of BIOPTRON could only be achieved with a series of salon or clinic treatments. But now you can visibly restore the natural luminosity of your entire face, reduce discoloration, improve skin texture and smooth hard to treat wrinkles – from the comfort of your own home. You will see unprecedented results after using BIOPTRON for just ten minutes per day as the penetrating beams of light continuously re-­build collagen beneath the skin’s surface. BIOPTRON’s high technology can be combined with cosmetic creams for even greater microcirculation and a firmer, brighter look in as little as two weeks. Professionals from all over the world select BIOPTRON Pro 1 and BIOPTRON 2 for use in beauty and Anti-Aging clinics. Dr. Christian Deperdu, dermatologist and Anti-Aging treatment specialist of Beausoleil, France; Dr. Bogdan Dimitrie Niculae, President of the Romanian Anti-Aging Association and Chief Dermatologist at Lasermed Clinics; Dr. Jasmina Lalosevic of Belgrade, Serbia, founder of AestheticMed Anti-Aging clinics, and Dr. Urszula Hura, Owner of Hura Medical Centre, Poland, have all confirmed the effectiveness and the ease of use of BIOPTRON light therapy with various popular Anti-Aging procedures. These include using the revolutionary light therapy device after mesotherapy and hyalurone acid fillers, PRP lifting, face lifting with mesonites, after peels and laser procedures, and even as a complementary therapy in hair treatments and post hair transplantation. Millions of people from around the world are turning to BIOPTRON for a non-invasive cosmetic light therapy procedure to enjoy a more youthful appearance. 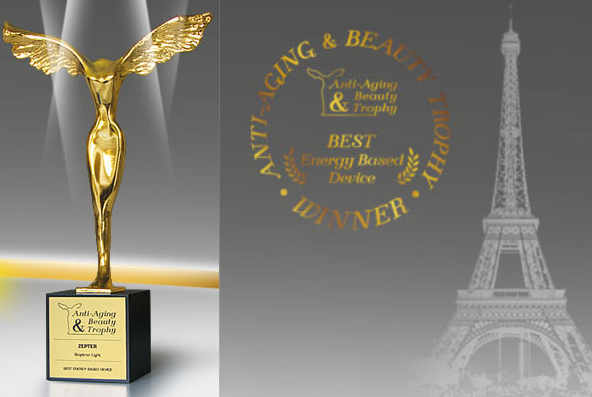 The Swiss-made BIOPTRON has been voted the number one Anti-Aging device at the Aesthetic and Anti-Aging Medicine European Congress in Paris. Several international medical experts have presented the effects of BIOPTRON light therapy in Anti-Aging conferences in London, Paris, Monte-Carlo, Warsaw, and Bucharest demonstrating that BIOPTRON’s penetrating polarized light is clinically proven to reduce fine lines, wrinkles, loss of firmness, elasticity, and uneven skin tone - resulting in healthy, youthful skin. Clinical research has demonstrated that BIOPTRON has a positive stimulating effect on specific cells in the skin known as fibroblasts, which results in the production of collagen and elastin. Safe and non-invasive treatment with BIOPTRON for only ten minutes per day reduces wrinkles, without any side effects.